Thx for this great analysis! 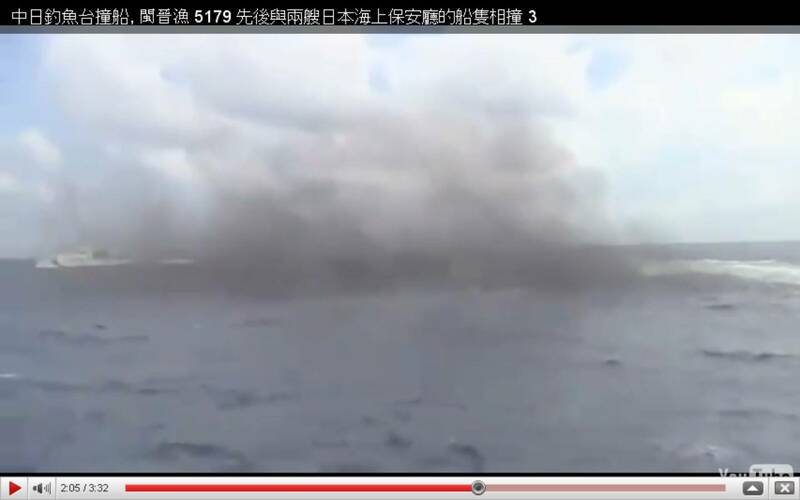 Regarding the first collision, the Chinese boat could have sharply turned to starboard. If the Japanese boat was in his way, why did he not simply reduce speed and turn? In the second collision, again the captain could have opted to reduce speed and turn to starboard, thus avoiding a collision. Of course the Japanese coast vessel was behaving somewhat aggressively, according to its orders and SOP from the Japanese government, that claims the island. 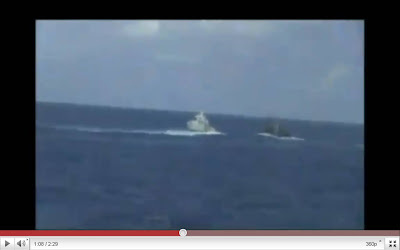 It was intercepting the Chinese boat. But the videos clearly show the Chinese boat using "chicken" tactics to escape interception. That is what caused the actual collisions. 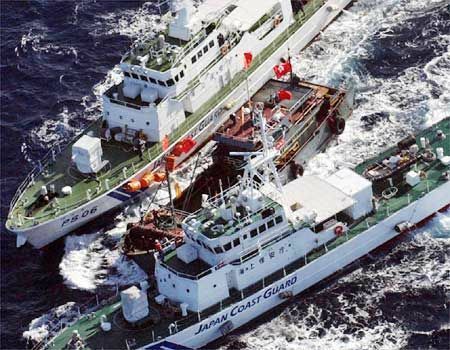 in other reports stated while Taiwaniese fisher encounted JCG, one sinificant mention is JCG Vessel's forming artificial high wave by cross timing their trace. 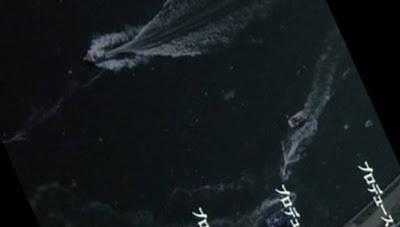 so the only way to minimize the wave shock in mataining their own safty is to turn head on cross to the trace those Vassels made and speed up over it. there you go, by the so called SOMEWHAT AGGRESSIVELY, SOP,acted not INTERCEPTING, but BODY BUMPing- in all meaning to HIJACK the chinese ship, and now you blam the Chinese boat? or why don't you blam the JCG? on a water which the Japanese government has not yet metained it's genuine of ownership. if you play by the civilization rules, you would ashame to stand for "Of course the Japanese SOP". and if you play by the pirates rules, please don't expact"why did the Chinese not simply surrender", infact, you must pay your respect to admired the brave and smart Chinese fishers. at least in your eyes their are dared to bravely excute the collision. so please tell us, is That what coaused the actual collisions to blame ? for those who can not read news in chinese,please paste the link to the google translate. I suppose both boats were somewhat to blame. It's kind of like a fight, where one guy (in this case the Japanese ship)makes the other guy (the Chinese ship) angry. But then the angry guy throws throws a punch. 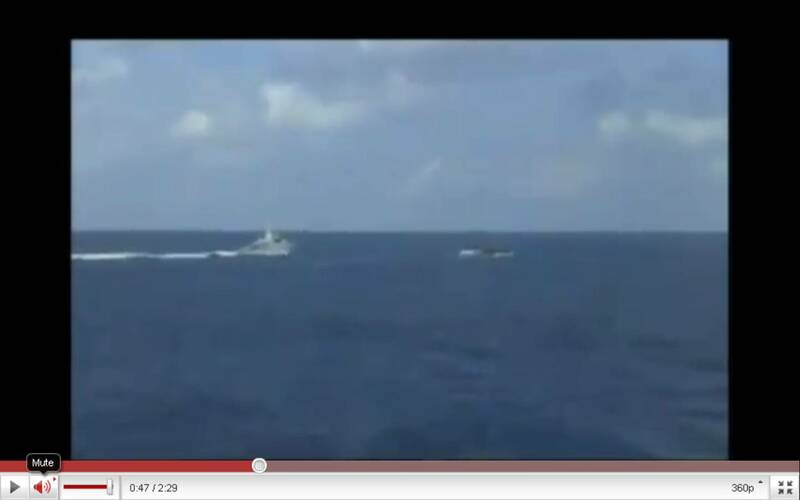 In this case, its the Chinese ship clearly ramming the Japanese ship. Too bad the Chinese can't accept this simple fact. Maybe the Japanese ship made the Chinese ship angry. 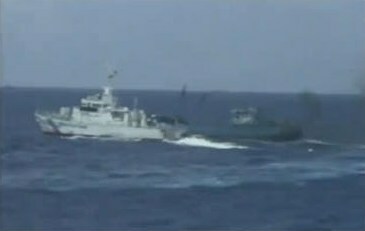 And maybe the two countries have different views about the Diaoyu / Senkaku. 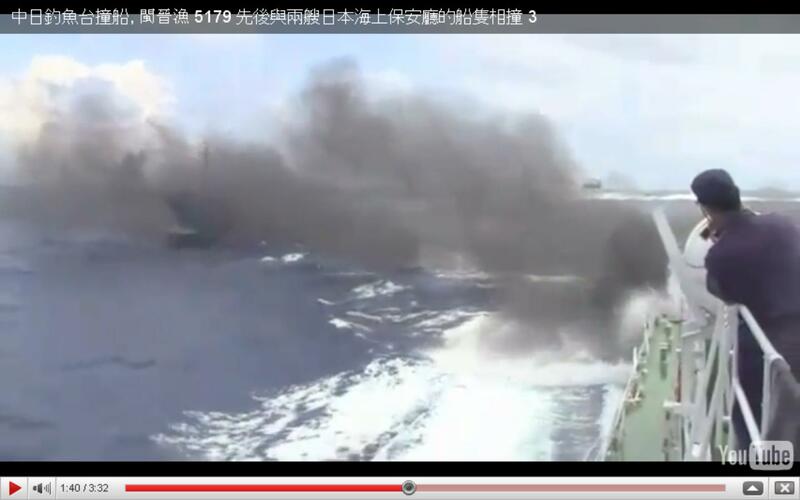 But the Chinese captain clearly rammed the Japanese ship, at least in the first encounter. One man (lets put him as angry or with a bad attitude if it makes you feel better) is in a crappy wheelchair (the junky chinese trawler) and the other is on a (foot) scooter (the japanese naval ship). The scooter has more speed and agility (max speed and turn radius) than the wheelchair and decides to catch the person in the wheelchair who refuses to stop and be confronted at the start. If indeed the one on the scooter decides to be aggressive and then cuts in front of the person with the wheel chair at a angle and then a speed that is difficult for the one in the wheelchair to avoid trying to force a stop and the one in the wheelchair refuses to stop (which it did not want to in the first place), then the resulting collision is... well who's fault? And does it really make it less the "scooting" person's fault if he films a video from his perspective, hold it for a period of time in his possession, and then releasing a minor clip of the whole video to a selected public only to have a longer version (still edited; non-continuous due to cutoff and turn on or outright after-the-fact editing) leaked which still isnt the whole video? This is a matter of opinion since it depends on whether or not the person in the wheelchair should have stopped instead of letting the scooter "have it" and bump into it, if the other person on the scooter should have avoided its maneuver knowing the likely result is a collision, or if the two above doesn't really matter because the entire chase to start with was the reason of contention: The 'park manager' gave a bathroom pass which that the wheelchair guy said should be his - but was never consulted - to the scooter guy and now the wheelchair guy was caught entering THAT bathroom without the "pass" (territorial dispute in the Diaoyu/Senkaku island area where the trawler was chased from; between PRC claims and ROC claims vs. Japanese claims and USA fence-straddling). And does it help that the one in the wheelchair has a bad reputation from temper and general opinions from the public (Red China) and the other is known to have faked incidents in the past and have prior been convicted with a wrongful collision with another (JP vs. TW's collision case where JP was caught red-handed from camera)? On a side note: I should give props for being a quick learner for Mr. Scooting. Maybe now all the wheelchairs could have cameras too. Let's FISK from the bottom. If Japan's big moral disadvantage is the whole Great Pacific War business, this is China's. Both are deserved; both have to live w/ it. While I won't say the Japanese had never been aggressive in the past, having actually watched said footage from the Union as selected by Chinese news agencies, and the CG made by them, the Japanese final judgment of both sides being responsible in that case is at least fair, if not overly generous and failing to back its own guys trying to enforce their own laws. The first thought I had watching it is "What happened to the Union's radar?" 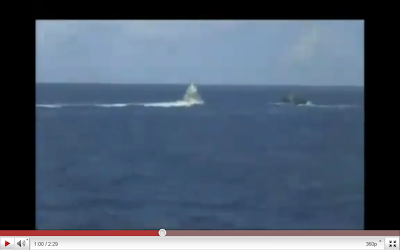 The setup had Union holding the Koshiki to its starboard side (as agreed from the video and the Chinese CGs). By the standard Rules of the Road, it was actually Union's responsibility to maintain observation and evade in a timely manner. In comparison, at most Koshiki can be morally blamed for aggressive maneuvering not in conformance w/ the spirit of the Rules of the Road (mitigated b/c of its law enforcement status) and legally for not correctly assessing that the Union was not getting out of the way at the last moment. The crimes are not exactly in balance. According to International Maritime Law, the "Wheelchair", in the 2nd collision, due to its relative position and course angles, is overtaking, has responsibility to avoid collision, whether by turning or stopping. The two are separate issues. Sovereignty may be disputed; the Rules of the Road cannot. Even trying to bump away nuclear-armed cruisers in your undisputed waters, like USS Yorktown, is considered bad-to-illegal form. Up until the Chinese ship rammed into the Yonakuni, it might have had half a leg to stand on for the Japanese "harassing" behavior in what he feels are "Chinese waters". After the ramming he doesn't. How about, we call one a policeman. The other is a petty thief, who has already crashed into a police vehicle? I think most non-Chinese watching it could see the whole left break. Heck, even the diagram above admits the Chinese broke left shortly b/f ramming b/c it is pretty undeniable, but tries to camouflage it with an unsubstantiated random zigzag, probably to make the last break look inconspicuous. In any case, it had already rammed one vessel and now it is over-taking - responsibility is 100% his to evade. I suppose it was Scooter's attempt to be conciliatory. However, the conciliatory attempt was made without concern with the moral obligation to protect his own side trying to enforce his orders and laws. Which is probably why the video was leaked - the JCG people know what most people (including Japanese) think when they hear "collision b/w fishing boat and police vessel" and they are sick of being the fall guys like in 2008 (see my views on that incident above). In fact, this is one of the reasons why our fisherman Captain is more idiot than hero. Up till him, the average Japanese or a neutral third-party may feel the islands are Japanese, but will probably sympathize with the fishermen / protest activists when a collision shows in the news, reasoning that they won't deliberately bump into a JCG ship so the JCG ship may have been over-rough on a bunch of ultimately peaceful people. I was one of them. Now, they'll probably recall these images instead. Equally bad, he forced the Chinese government to expend resources to save him. What happened next is generally considered a Chinese diplomatic victory, but it is the kind of victory that was won by throwing a division (rare-metals) at a place that should have been fought-out by battalions. If you do that of course you'll win unless the other side is equally fanatical, but at a cost. Hero? Traitor or terrorist is closer.